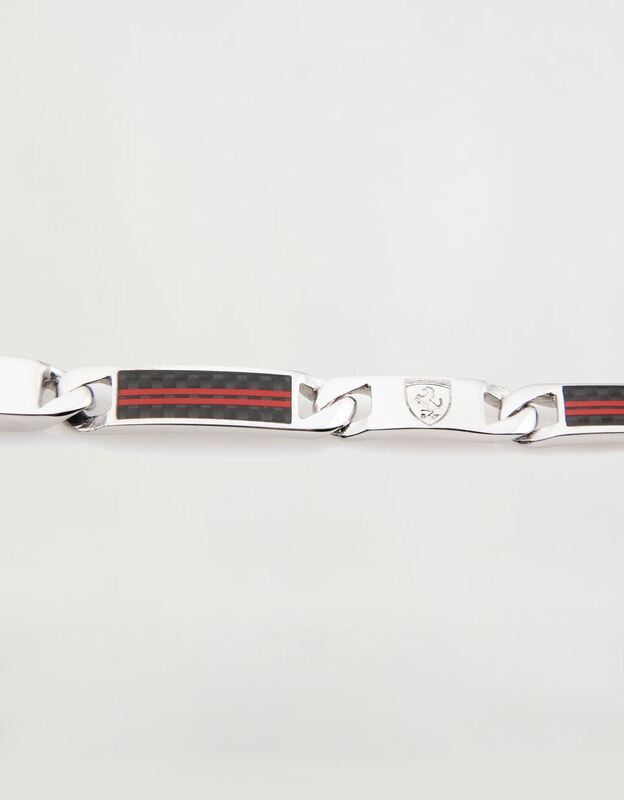 The men's silver Scuderia Ferrari bracelet with a carbon fibre plate and engraved Ferrari Shield is a jewel with a contemporary design. 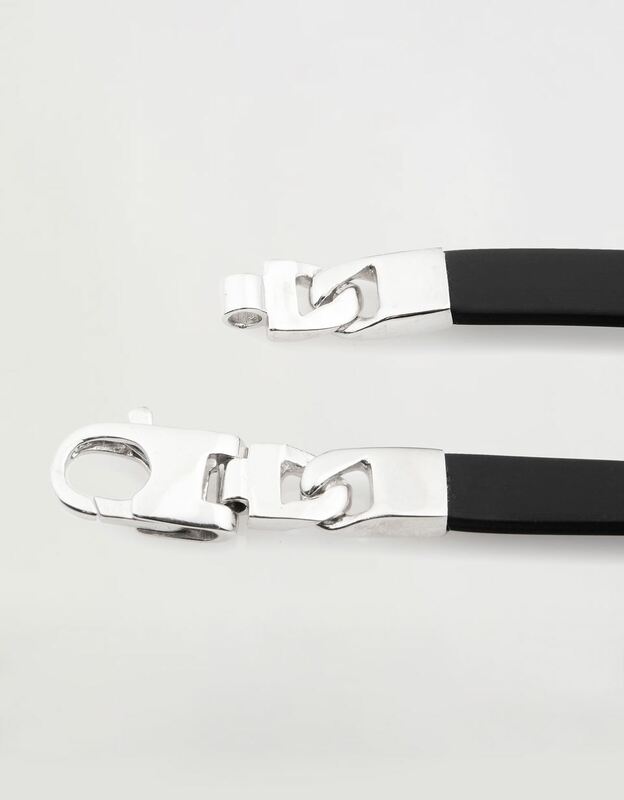 Designed to complete men's outfits, both elegant and casual, this 925°/°° rhodium plated silver Scuderia Ferrari bracelet is made according to traditional Italian goldsmith methods, with complex craftsmanship that brings out the qualities of the carbon fibre, silicone and rubber used. 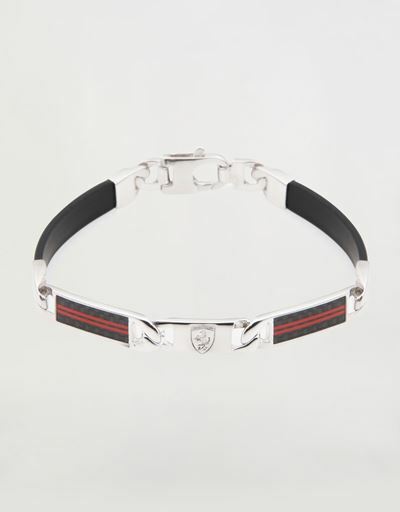 The engraved Ferrari Shield customises this accessory with an exclusive detail. The bracelet is contained in an elegant red box with a relief engraved black Shield and accompanied by certificate of authenticity.